The Earth’s bow shock is the most studied example of a collisionless shock in the solar system. It is also widely used to model or predict the behaviour at other astrophysical shock systems. 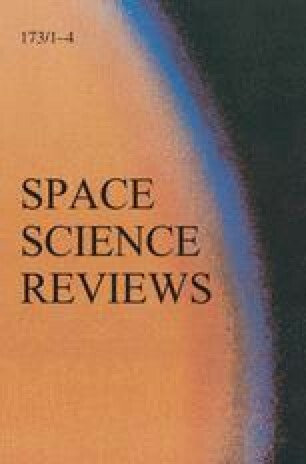 Spacecraft observations, theoretical modelling and numerical simulations have led to a detailed understanding of the bow shock structure, the spatial organization of the components making up the shock interaction system, as well as fundamental shock processes such as particle heating and acceleration. In this paper we review the observations of accelerated ions at and upstream of the terrestrial bow shock and discuss the models and theories used to explain them. We describe the global morphology of the quasi-perpendicular and quasi-parallel shock regions and the foreshock. The acceleration processes for field-aligned beams and diffuse ion distribution types are discussed with connection to foreshock morphology and shock structure. The different possible mechanisms for extracting solar wind ions into the acceleration processes are also described. Despite several decades of study, there still remain some unsolved problems concerning ion acceleration at the bow shock, and we summarize these challenges. The authors thank ISSI for support to attend the workshop “Particle Acceleration in Cosmic Plasmas.” D. Burgess acknowledges support of STFC grant ST/H002731/1. E. Möbius acknowledges support of NASA grant NNX11AB65G, and gratefully acknowledges the support of the U.S. Department of Energy through LANL’s Laboratory Directed Research and Development (LDRD) Program and Institute Geophysics and Planetary Physics.